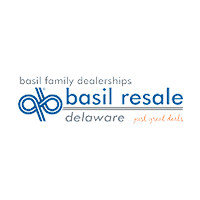 Welcome to Basil Resale Delaware! The team at Basil Resale Delaware would like to welcome you to our dealership in Buffalo, where we’re confident you’ll find not only the best used vehicles in town, but also the best customer service in Western New York! It is our philosophy that every customer that walks through our doors will be welcomed to the Basil family. That’s what we call the Basill Difference! Come in to our showroom or browse online to check out our inventory of the best brands and best models at just great deals! With the assistance of our expert sales team you’ll be able to able to drive the perfect car for you at the perfect price for you, in no time at all! No matter which vehicle you decide on, our professional finance team will help you get settled with a competitive financing or lease plan. When you’re looking for quality auto maintenance and repairs near Buffalo, you can always count on the professional technicians in our service department as well, where we handle everything from oil changes and filter replacements to powertrain and drivetrain repairs. Schedule an appointment today, or purchase parts from us to handle maintenance and repairs on your own! Lots of folks in Buffalo count on the high-quality vehicles and services found at Basil Resale Delaware, and we look forward to living up to our reputation every day. Come visit us or contact us today and we’ll show you why used car buyers and drivers across the greater Buffalo, Kenmore and Tonawanda areas choose Basil Resale Delaware. We are so much more than just great deals!